These have been trendy for a few seasons now, and are still going strong. 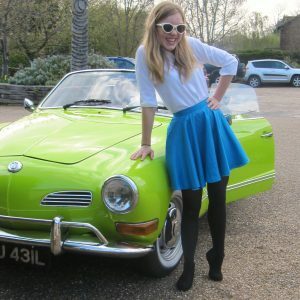 Learn to make your own skater skirts in just one day! 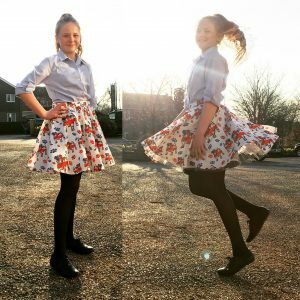 With the pattern we will make just for you, you’ll be able to make loads more of these cool skirts at home. Alternatively, you could make a pair of summery shorts! 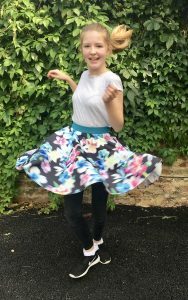 This course costs £70 including all materials – you can choose from our exciting range of fabrics, elastics, and trims to make a unique skirt!